It’s taken our team years to take the research on how students use information to learn and put it into a practical, usable, teacher friendly framework that works. We want our students to think critically, make informed decisions and know how to use the information available to learn new information and ideas, in order to create new knowledge. But, we also know that all of our students need the skills of how to find, evaluate, and use information just to get by in today’s world, let alone to fulfill college, career, and civic readiness. Traditional research projects go against the students’ experience and can cause students to just cut and paste! This is not what we want our students to learn. So, we set out to change how research is done in school by taking what we know about student learning and using it to help us work with our students. Guided Inquiry Design® reenvisions what teachers do in school to help students use the information available to them to think critically and learn new content. Guided Inquiry Design® – a research-based instructional design framework that will change how you teach forever! 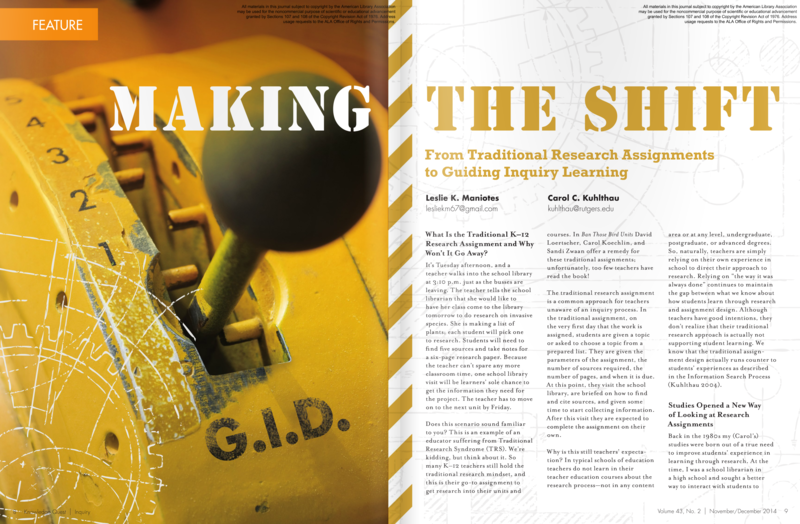 The article “Making the Shift” is available for free online in the archives of Knowledge Quest, an AASL publication. This is how I’ve always wanted to teach! This will rejuvenate the entire field of education and keep the right people in the profession! This makes my job so much easier! Leslie K. Maniotes, M.Ed, Ph.D. is owner and senior consultant of BLV Consulting. As author of the Guided Inquiry Design series, Leslie leads professional development institutes building capacity in collaborative teams of librarians and teachers for inquiry learning. She also works with district leaders to implement systems of support that wrap around inquiry learning for greater impact. 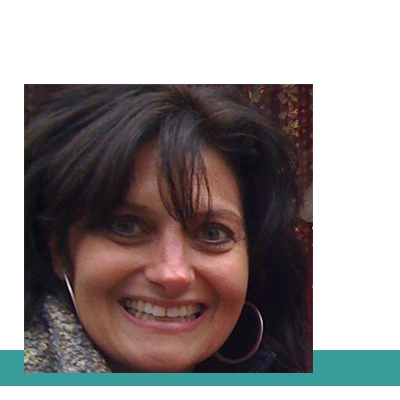 Leslie is a lifetime educator a National Board Certified Teacher with 11 years of classroom experience, 5 years as a Teacher Effectiveness Coach and a K–12 literacy specialist in urban and rural Title I schools. 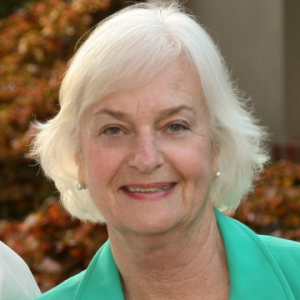 She earned her master’s degree from the University of North Carolina at Greensboro in Reading K-12 and her PhD from the University of Colorado at Boulder in Curriculum and Instruction in the Content Areas as well as an administration certification in urban educational leadership from the University of Denver. Guided Inquiry Design® was developed through a collaborative approach from three diverse fields of education—information science, museum education, and curriculum & instruction. 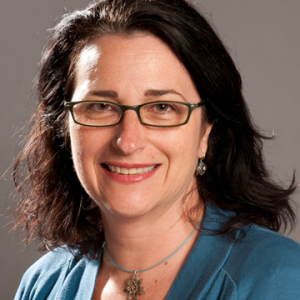 Ann Caspari, MA is education specialist at Smithsonian Institution’s National Air & Space Museum and director of professional development program for preschool teachers in the District of Columbia Schools on inquiry science for young learners. She holds a master’s degree in museum education from George Washington University and has experience in inquiry learning in museums in Boston, MA, Newport, RI, Calvert County, MD, and Washington, DC. And the forthcoming Guided Inquiry Design® in Action: High School.